Хидравлични инструменти Съдържа 1 продукт. Our hydraulic operating body repair tools thanks for their big tension/pressure can spread easy and exactly dents on vehicle’s body. 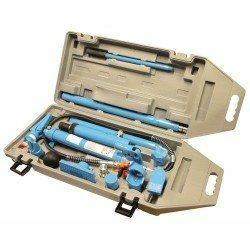 Push and pull rams or complete hydraulic body repair kit for the quick and successful work.